Located in the heart of Caen city center, overlooking the marina, the ibis Caen Centre hotel is the ideal base from which to visit the D-Day sites and the Caen Memorial. This air-conditioned establishment provides a peaceful atmosphere by offering modern, comfortable rooms and a fitness room. Relax with a drink in our lounge bar. 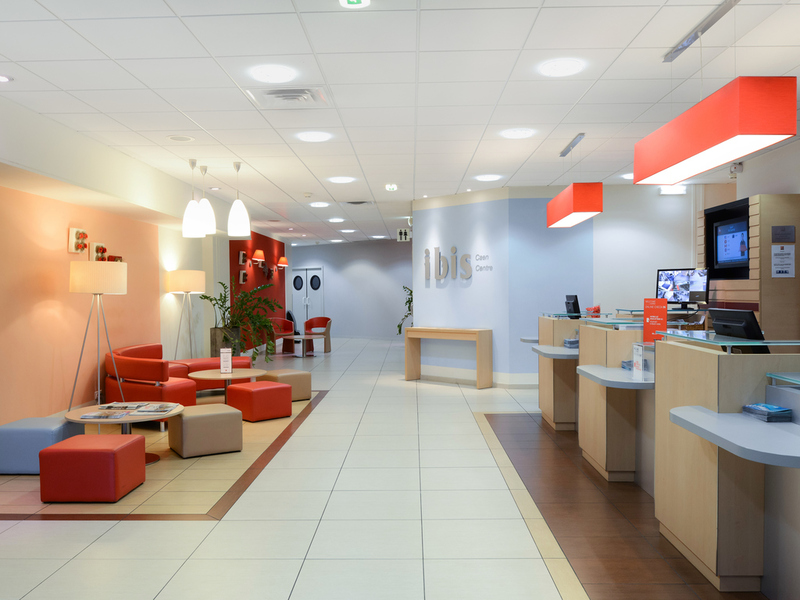 For business or for a few days of relaxation, this ibis hotel is perfectly suited to your needs. Situated in the heart of the ancient city, the city of William the Conqueror. In the heart of the city center. Many restaurants and shops within walking distance. Very well-equipped 24-hour fitness room. Our Le Between bar invites you into its beautiful, soothing setting with a view of the port. Take a seat on one of the large sofas or comfortable armchairs and discover our selection of fine wines. For sports fans, numerous sporting events are shown.